They have released Free Goods of the Week on 25th April 2016. They’re available until midnight of 2nd May 2016. Grab this weeks freebies from across Creative Market. Scalliwg is amazing hand crafted typeface. This weeks free premium fonts on creative market. This is high-quality full-page fabric textures for some good old vintage flavor. The set covers a range of fabrics from denim varieties to standard t-shirt fabric. This weeks free premium fabric textures on creative market. Vine & Lace is a powerful and responsive WordPress theme tailored to showcase your content effortlessly. This weeks free premium WordPress Theme on creative market. 250 vector decorative rounded shape can be used for badges, logo, or label in vintage style, therein also have the brush of the round shape decorative addition we also provide a bonus of 20 hand drawn ribbons and badges with vintage style. This weeks free premium decorative elements and brushes on creative market. These textures are high resolution scans of different wood veneers, then painted with white acrylic - finally scanned for a second time. They like branding environments and work well in close combat. Throw some light at them and let the magic happen. 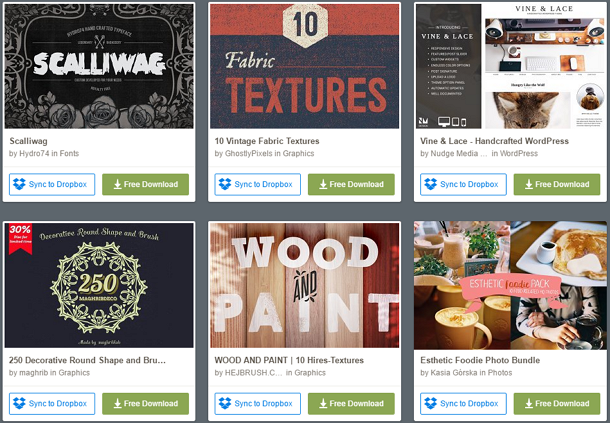 This weeks free premium wood textures on creative market. Esthetic Foodie Photo Bundle photos are taken by 35mm and vintage analog camera. They are all of great quality, perfect to use on blogs, websites and your Instagram accounts. This weeks free premium photos bundle on creative market. Item Reviewed: Download 6 Stunning This Weeks Freebies No93 9 out of 10 based on 10 ratings. 9 user reviews.